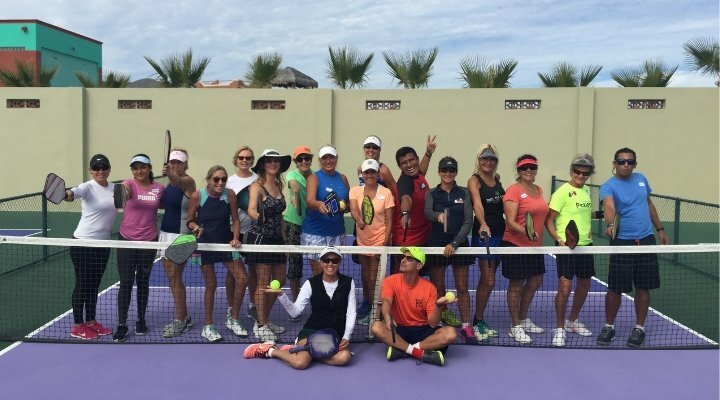 Last month I visited another FIRST – Tres Palapas Pickleball Resort. First, because Tres Palapas is located in Southern Baja on the Sea of Cortez in the warm and loving Mexican town of Los Barriles. Known for amazing Kite surfing and fishing, Los Barriles is a quaint village not far from the Los Cabos International Airport where 10,000 or so expats make their home. At Tres Palapas I was fortunate enough to teach a 3-day clinic to the locals and snowbirds. What a blast! The amazing facility has ten courts and the location and people, are the best – It is truly a pickleball paradise. 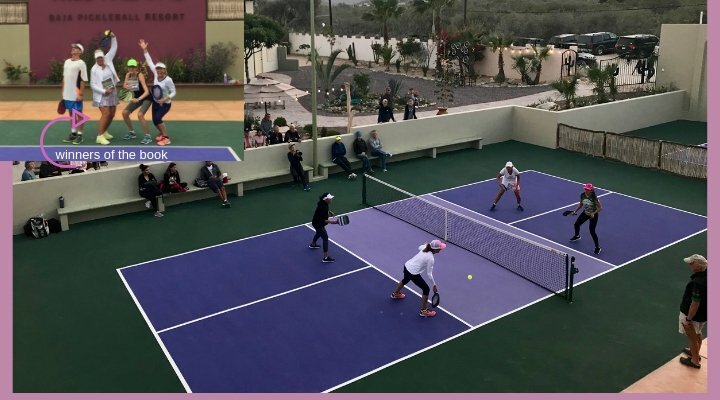 Voted in 2018 as “Newest Baja Must See Hotspot,” Tres Palapas is the newest architectural oasis dedicated to pickleball. Groundbreaking and a global first, Tres Palapas is an economically sustainable tourism wish-list wonder and “pickleball” mecca. In addition to the exceptional food, juice and coffee bar, owners Paul and Sally recently opened the upstairs Kahlo Bar which is another “must experience”. Great drinks, cold beer, pickleball friends, warm staff and a view of the courts as well as “El Mar” (the sea). Mornings begin daily with fresh brew cappuccinos, espressos, specialty smoothies/juices, and treats. Lunch and dinner are available with gourmet food selections. 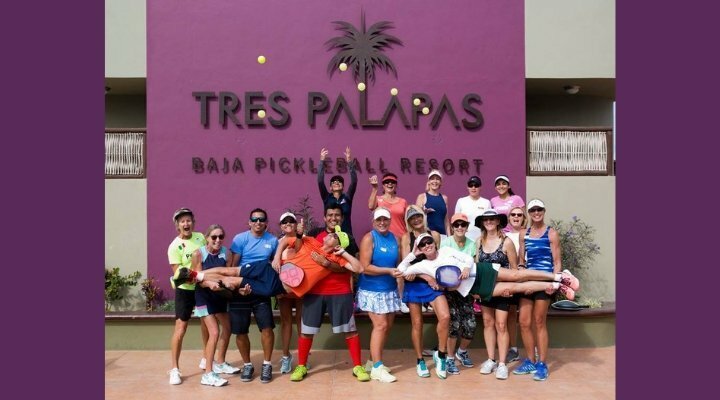 Tres Palapas is an affordable and safe bucket list for the pickleball enthusiast. And did I mention that the owners are from Vancouver Island in Canada? Yes, those Canadians are everywhere; so friendly and really know how to have fun. I’ve been exploring Baja California with my family since the late 1980s. We’ve always driven down the Baja peninsula to a family home on the Sea of Cortez. 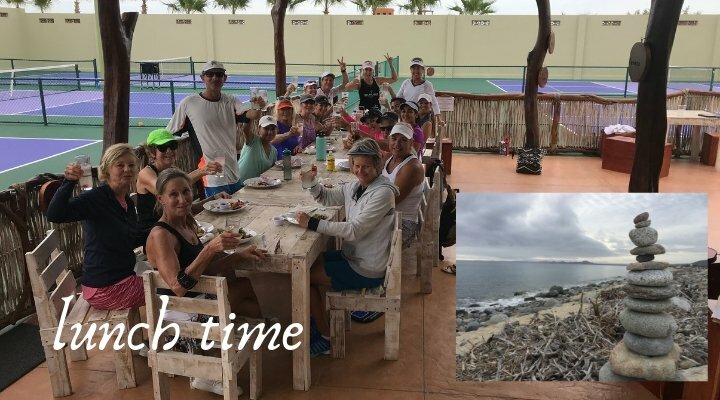 Add pickleball in Baja California, Sur – WOW! With an airport close by – Bigger WOW! Driving is scenic and adventurous but with the air option, it’s quick and affordable from nearly anywhere. In fact, after driving down, I flew out of Los Cabos direct to Phoenix for the SW Regionals. Pickleball is sprouting up all over the world. 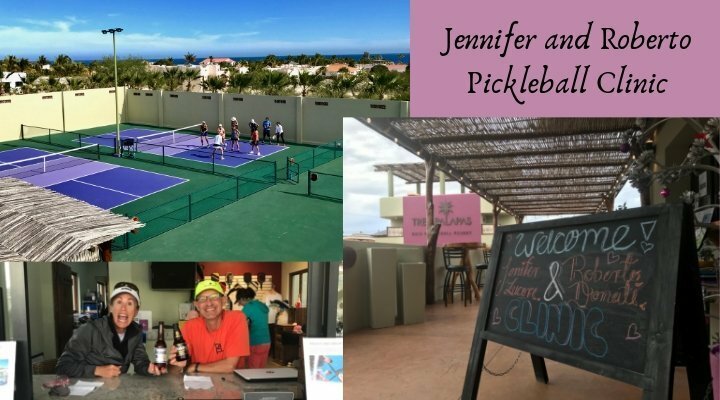 I encourage all pickleball players to get out and have pickleball FUN in new locations/countries that offer our favorite sport mixed with new adventures. 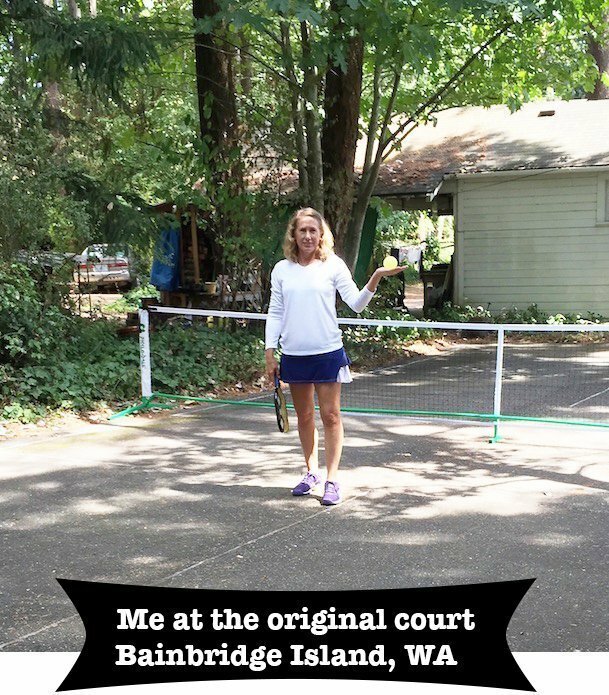 To get your pickleball fix, there’s always new people to meet and places to visit. 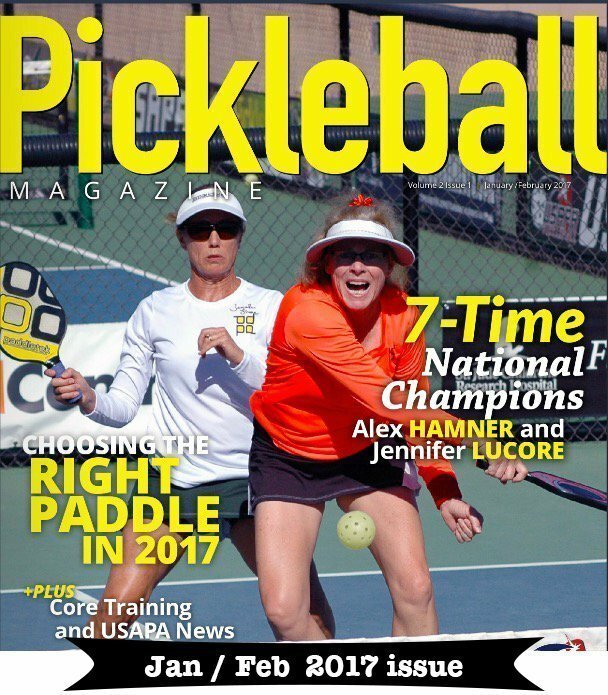 Please share this with your traveling pickleball friends and be sure to SUBSCRIBE to this blog! Just got back from there a couple of weeks ago with two other couples. What a great place! Highly recommend it also. We played there everyday. Can’t say enough about how wonderful it was to play there. The owner and his staff were top notch. Definitely going back next January.